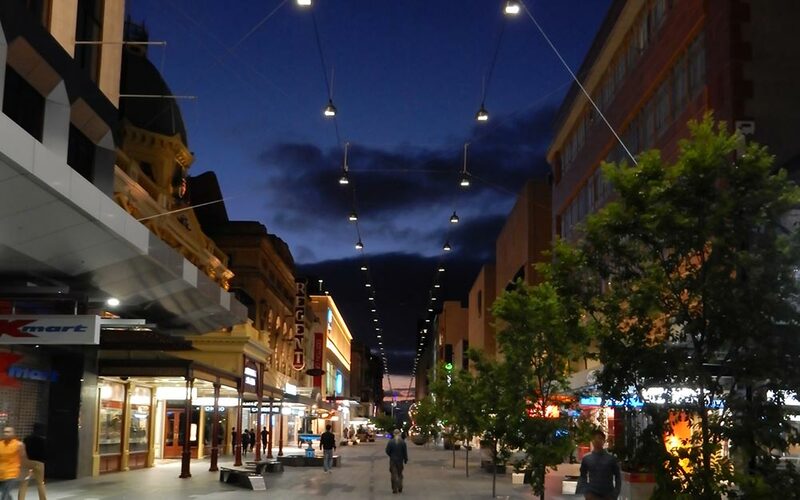 The Rundle Mall catenary lighting installation in Adelaide, Australia put some finishing touches on a long-term renovation of a historic public space. The Rundle Mall in the city of Adelaide, is a pedestrian only, outdoor shopping street with an array of beautiful outdoor spaces for events. Rundle is one of the longest and busiest malls in Australia, receiving 400,000 visitors per week. The redevelopment of the mall was initiated in 2011 and included a master plan of improvements to sustain the future competitiveness of the region. The plan included new landscaping and changes to the existing buildings and infrastructure. The design and installation of the catenary lighting took 2.5 years and really helped to transform the cultural and retail center into a spacious and welcoming walkway, at any time of day or night. 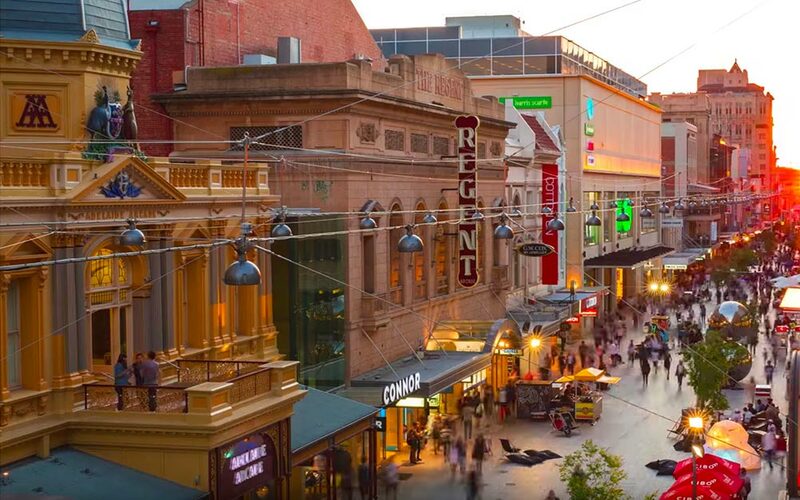 This time-lapse video tells the story of how the space at the Rundle Mall was transformed. Ronstan was responsible for that lengthy design and construction process which included the planning of building anchorages. In the cases where no appropriate anchorages could be found, structural spires, masts and foundations needed to be designed and approved. Once plans were approved and the anchor points installed, Ronstan supplied the light fittings and constructed the foundations. Next came fabrication and installation of the masts and spires, cable net support, and electrical works for the lights. All of this work was undertaken outside retail hours and with minimal disruption to regular mall activity. 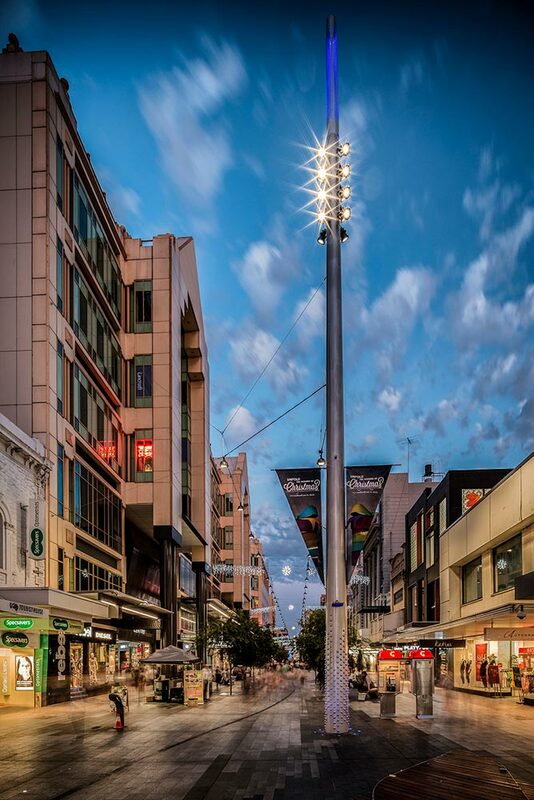 The Ronstan site manager was responsible for overseeing all installation works at the Rundle Mall. He recalled that this project was not without its difficulties. 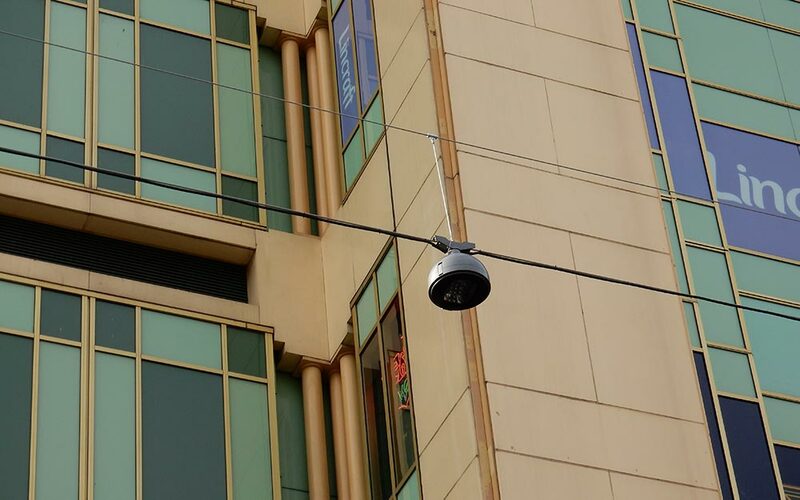 “Connection points were on buildings ranging from the oldest to the newest in the Mall. Subsequent investigations showed that many buildings were structurally unsuitable and building owners in some cases not amenable. We had to get approvals from building owners, local and state officials. In four locations we could not find any suitable connection points and so we constructed two spires and two masts including their foundations required to anchor and support the net”. 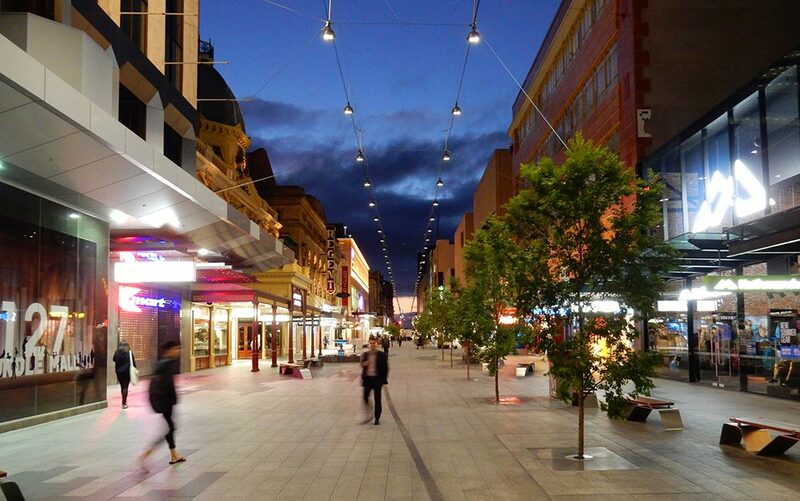 The final product was worth the extra effort, as the pedestrian mall has been completely transformed and the Adelaide City Council has been thrilled with the results. The client was Adelaide City Council with its consultants Hassell Architects and Arup Engineers. Building Owner Liaison was with ACC and Rundle Mall Authority. Building Anchorage Design was by our consultants GHD. Spire, Mast and Net Design was by our consultants Tensys Engineers. Ronstan was assisted by our subcontractors Gant, EDC, McMillan, Reconstruct.